With the newest Google Analytics update (November 2011), Google added site speed into the already advanced set of analytics tools. Site speed is very important to users. Sometimes, if your site takes longer than a few second to load, the user will leave. You don't want to risk losing potential customers. In Website Magazine's article "Google: Site Speed a Ranking Factor", they mentioned site speed is definitely a ranking factor for search engines. It doesn't carry as much weight as keywords or page relevance, but it does affect ratings. Our world is starting to get used to having information right here and right now. If a page takes too long to load, they don't want to waste their time on it. They will try to find another site with relevant information and less load time. 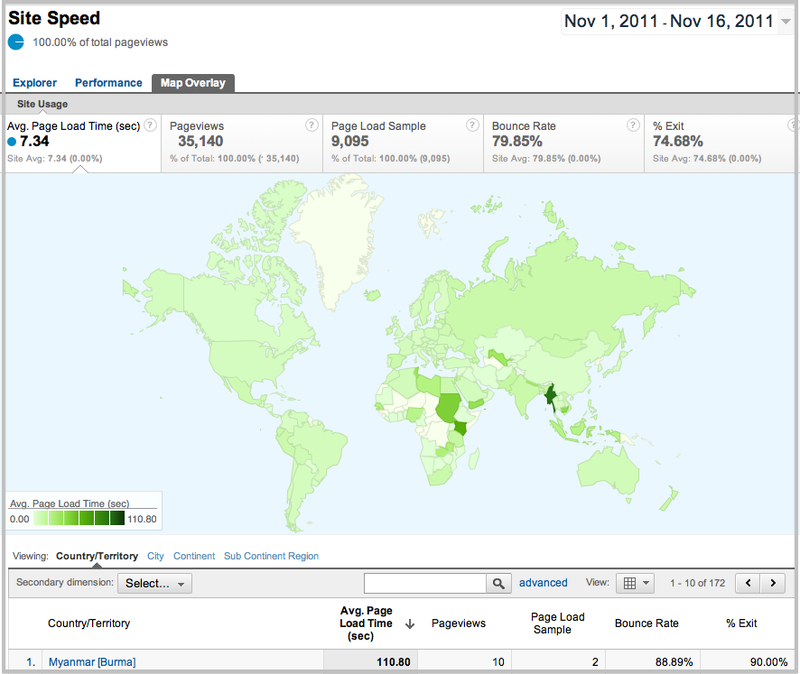 I found the graphics below on Google Analytics' Blog. It is very helpful to see site speed laid out in graphs. If your site speed has a very high average, it may not be the user's Internet connection, but your website. Large graphics and high quality videos are a few things that increase load time. Google also stated that site redirects are factored in page load time. A Google Analytics graph displaying the page load times in seconds. Another Google Analytics graph of page load time by percentage. 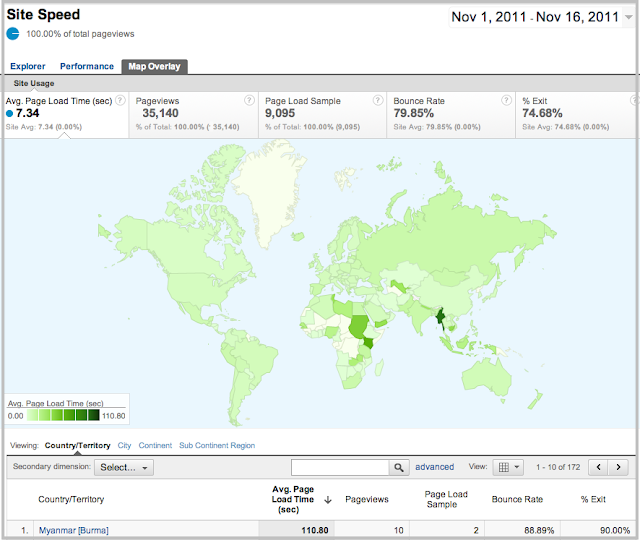 The map feature in Google Analytics can come in handy if you are trying to reach a specific country or continent. Google has several references if you are curious about what Google Analytics has to offer. The Google Analytics Blog, Google Code, and Analytics Help are all helpful resources. 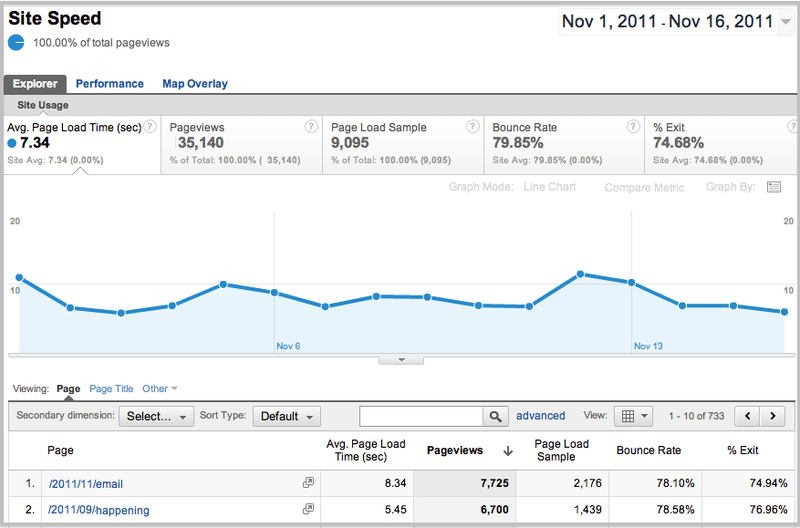 Google Analytics is a great supplement to any website. 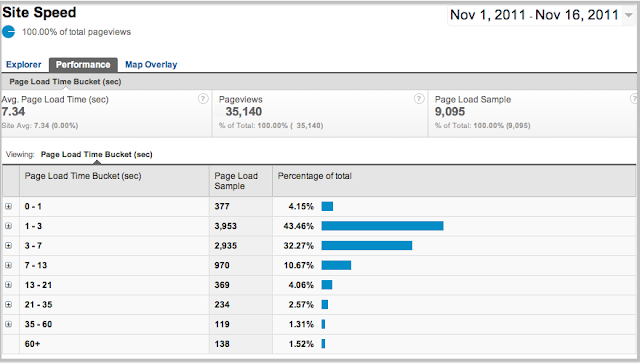 Do you have Google Analytics on your website? The valuable information statistics provide about your visitors is data you should collect and review regularly. Evaluating the information can be overwhelming but extremely worthwhile for making smart decisions and changes.